As spaces are integrating around kitchen, living and dining areas, so too is our furniture. 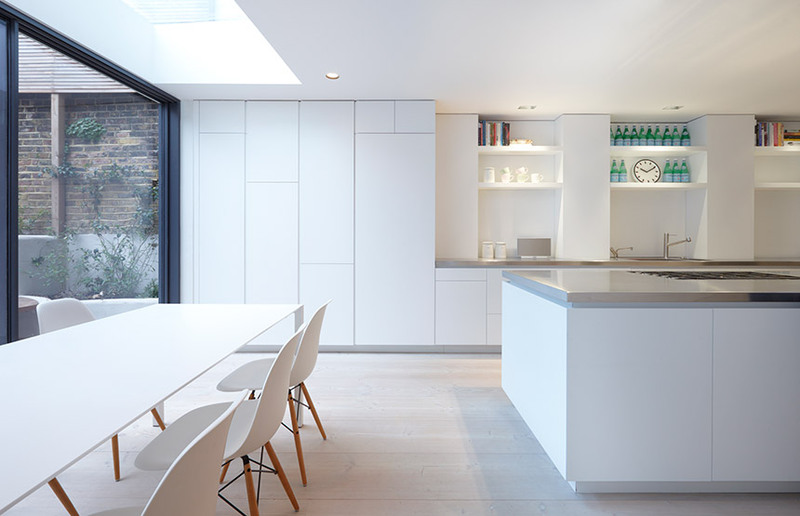 This kitchen runs seamlessly into the living area with just a subtle difference in the plinth to denote the change. Our design overcomes the 4 existing awkward pillars by making a feature of them, incorporating shelves and lacquered backs, thus creating one visual line of cabinets. The solid surface breakfast bar is invisibly supported off the island unit. Use of a random door design successfully disguises the varying door sizes.